In order to quietly practice their forbidden worship, fanatics built a temple next to the silver cavern. Its name comes from the color of the algae that grow at the bottom of the river wich crosses the enormous cave. 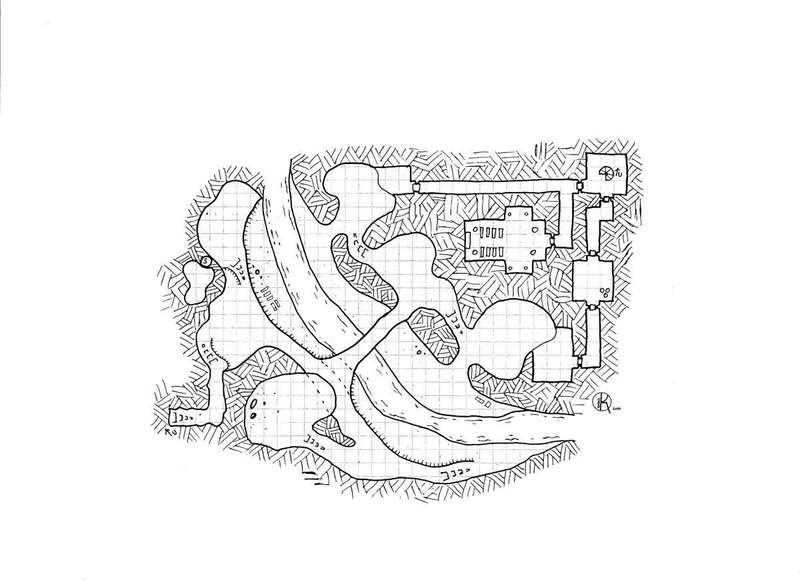 There are two ways to get to the temple, one by the forest and the other via a secret room of a manor.